Plants for have long been used for refreshing drinks as well as for medicinal purposes. One of the ancient stories tells us that the Chinese Emperor, Shen Nung (2737 BC), observed that those who boiled their drinking water remained healthier than those who did not. Consequently, he would not drink water, unless it was boiled first. One day, burning, floating wild tea leaves fell into his pot of boiling water. Shen Nung tasted the infusion. The drink not only quenches thirst, but also lessens the desire to sleep (this will be the caffeine speaking) and cheers the heart. A drink that is stimulating and relaxing at the same time. The drink was called Cha. Traditionally used for its health benefits, Cha, or “tea”, came to be associated with the Camellia Sinensis plant. All four main types of tea - green, black, white and oolong - are extracted from the leaves of Camellia Sinensis. Originally grown in China and India, Camellia Sinensis is now cultivated across the globe. The best plants are grown at high altitudes so that they mature relatively slowly to provide more nutrients and better flavor. Herbals, by definition, are not “tea” because they do not come from the Camellia Sinensis plant. They are made from an infusion of various leaves, roots, bark, seeds or flowers of other plants. Herbal tea is usually low in tannins and can be steeped to make an intense, strong infusion. So whilst it’s not tea, we do refer to these infusions as ‘teas’. Green tea is thought to provide a lot of health benefits. 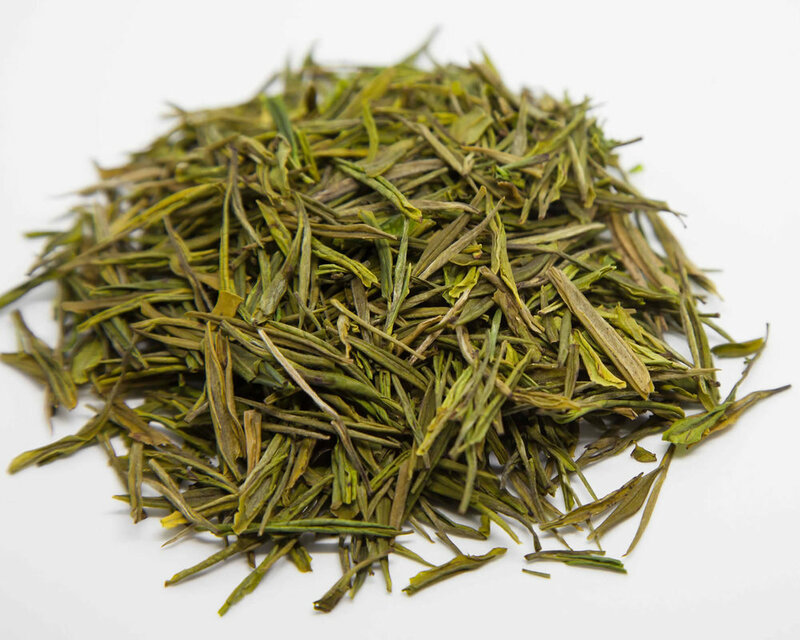 To make green tea, the picked tea-leaves are immediately dried or steamed to prevent fermentation. Green tea has the highest contents of polyphenols chemicals which are powerful antioxidants and also partly responsible for the unique, slightly bitter taste of green tea. Catechins are the primary polyphenols in green tea. The most active compound, which is also the most common, is apigallocatechin-3-gallate (EGCG). These polyphenol are potential antioxidant, chemopreventive, and lipid-lowering. Green Tea may improve thinking and mental alertness. It may be used to help prevent a variety of diseases, including stomach disorders, osteoporosis (bone loss), headaches, vomiting and diarrhea. It is also good at enhancing weight loss. Green Tea only produces a small amount of naturally occurring caffeine. Due to the shorter steeping time and lower water temperature less caffeine is extracted. Green Tea has about 30mg of caffeine compared to a 130mg from coffee. Green Tea also contains theanine - a natural relaxant that counteracts the stimulating effects of caffeine. For thousands of years Black Tea has been enjoyed for flavor and health giving properties. Differently processed than the other teas of the Camellia Sinensis plant, black tea undergoes a multi-stage process of withering, rolling, complete fermentation, and drying. All of this gives black tea its unique characteristics creates unique and complex flavors that are stronger richer deeper than the rest of the family. The health benefits of Black Tea are overshadowed by it’s more famous cousin, Green Tea. In reality, Black Tea has many different antioxidants and healthy compounds in it. Flavonoids are just one note in this symphony. Some studies show flavonoids may help lower the risk of heart disease. The polyphenols in the tea help to prevent bladder and prostate cancer. White Tea probably originated in Fujian Province during the Tang Dynasty. White Tea was an exclusive and expensive luxury, only available to the rich and privileged. Luckily, modern farming and technology has developed so that everyone can enjoy it. Harvesting is the secret of White Tea. Young immature leaves and buds are plucked and taken to dry so that the oxidation process is stopped. The unopened buds and leaves have silvery white hairs giving the dried tea its whitish appearance. The brewed tea is pale yellow hue with a delicate, sweet flavor. This light touch processing of White Tea ensures it retains a high amount of antioxidants. Like its big brother green tea, it has the catechin polyphenol antioxidants thought to have terrific health benefits. These antioxidants are credited as a potential cancer chemopreventive agent, as well as having atherosclerosis, heart failure and diabetes fighting properties and have also been shown to strengthen the immune system and to protect against certain pathogenic bacteria. Compared to the other types of tea, White Tea has a low amount of caffeine. This is because the young leaves have not matured and should be brewed with lower than boiling water (170 degrees or below) for only 1-3 minutes and caffeine is not extracted from the leaf. White Tea is now an affordable luxury, good for the mind body and soul that can - and should - be enjoyed daily. It contributes to an overall sense of well-being. One of the worlds best known teas, Oolong, or wulong, tea is semi-fermented in its production giving it the best qualities of both green and black teas. It’s been around a long long time and, over four centuries, it has been a favorite among Chinese tea connoisseurs. Modern varieties of oolong tea have a vast array of flavors and aromas. They run the gamut from fresh, light and floral to dark and chocolatey. Processing plays a crucial role in determining the quality of any oolong tea. The precise preparatory techniques are proprietary secrets. Get something wrong and a batch may reek of granny's perfume or taste as charred as a burnt wood. Get it right, though, and you have a tea with marvelous complexity, one that develops and evolves in your cup more than any black or green tea. Some oolongs can be steeped a dozen times or more, and by the time you're finished, the final steep may feel like it's from a totally different tea.